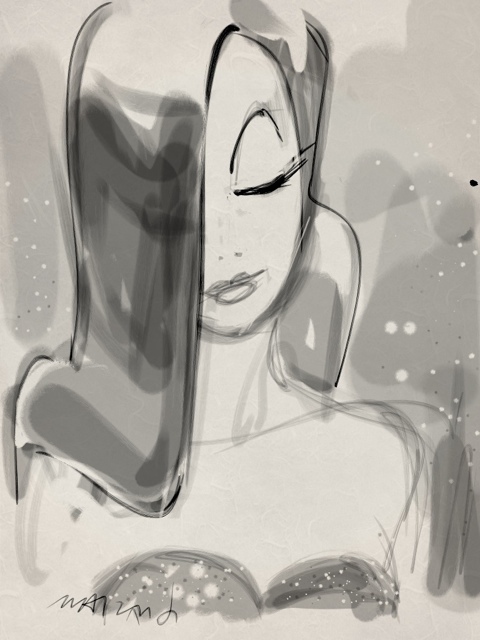 Quick morning Zen Brush sketch of Jessica Rabbit. Why Jessica? The random lines I started with just seemed to indicate Jessica. About 5 or 10 minutes. I had a few redos on the hair.